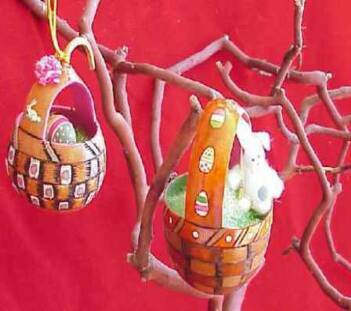 Make an Easter Basket Ornament! 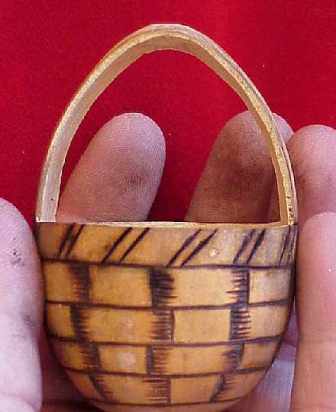 After you have finished woodburning, dye or paint your basket. I have used both on these examples. Add decorative painted accents if desired. You can add a cord for hanging, or just hang your baskets from the handles. 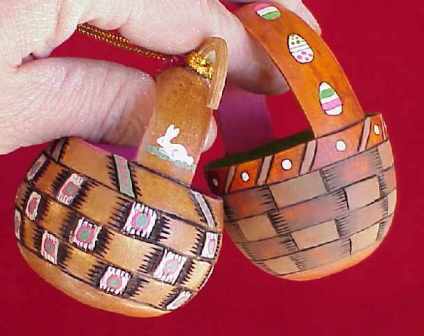 Fill your baskets with Easter grass, painted wooden eggs, bunnies, candy, or whatever you choose. Hang your baskets from a small branch to display, or give to friends! 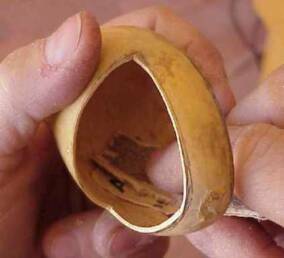 Clean the pulp and seeds out of the gourd, and use some sandpaper to smooth, if necessary. Draw lines to simulate the basket's vertical "stakes" and horizontal "weavers". For extra realism in the basket pattern, you can draw double lines for the vertical stakes - more on this below. Using a checkerboard pattern, mark alternating sections with an "O" to represent the weavers that will go over the stakes. The top edge will be finished with a decorative diagonal band. Erase the extra vertical lines next to the boxes marked with the "O". When you are finished, the boxes with the "O" will be longer than the unmarked boxes. Woodburn all lines. 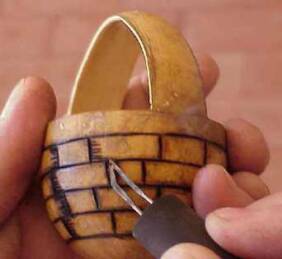 You can lower some edges with your woodburner, and burn some short decorative lines to make your basket pattern more effective. 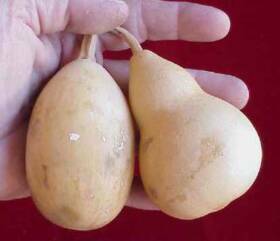 Choose a nice firm shelled mini gourd for your basket. 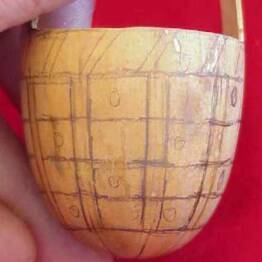 Draw lines for basket handle, and cut carefully. 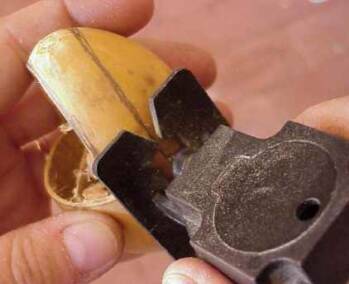 I used a mini jig saw, but a small keyhole saw will also work. 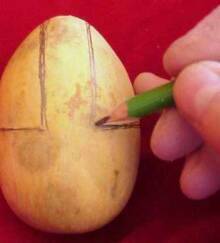 To make a simple Easter Tree display, find a nice branch and spray with white paint or leave plain. A small terra cotta pot can be painted in a bright Easter pattern. Line the pot with crumpled foil. Place your branch into the pot, and fill pot part way with stones. Mix and pour plaster into the pot. When the plaster cures, it will expand. The crumpled foil will keep your pot from cracking. 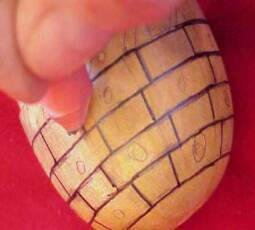 Place easter grass on top of the plaster to cover. Your tree is now ready to use!